With at least 20 years of experience of packing my own suitcase, 15 years also packing for my partner, and now 2 years of packing things for my daughter I should be good at it. But actually, I’m just OK. So I’ve decided this has to change NOW! We have a long family holiday coming up in a couple of months and what with baggage allowances and not wanting to drag heavy suitcases as well as a pushchair around a busy airport I’ve decided to learn properly how to pack a suitcase. I have many ill-formed ideas and schemes based on things that are recommended but haven’t yet put it all down in one place so I can refer back to the best tips and techniques. Well, this article is it. My family suitcases will be the best organised and will be packed so well that unpacking at the other end will be a breeze. Now, if you’re going on a road trip and not a plane where you really need everything to get in the allotted suitcases you can just put extras loose in the boot. However, this is really just transferring the problem and will make it a hassle when unpacking the car at the other end. Make your life easier and have everything you need to put in your suitcase together and laid out on your bed or the floor. Even if the wash bag still needs to have a few bits put in it like toothbrushes still have it in the pile so you know what you have to pack. Again, this is a common problem for lots of people, one I’ve found even worse when packing things for my daughter. I always take too much. There is really no need to have double the amount of tops for days you will be away. Put back the skirt that doesn’t match anything else you’re taking. Those uncomfortable shoes that you love but never wear? Don’t take them. 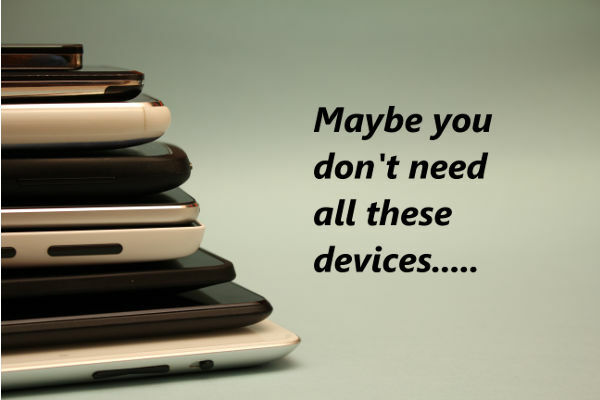 How about all the tech you’re taking? 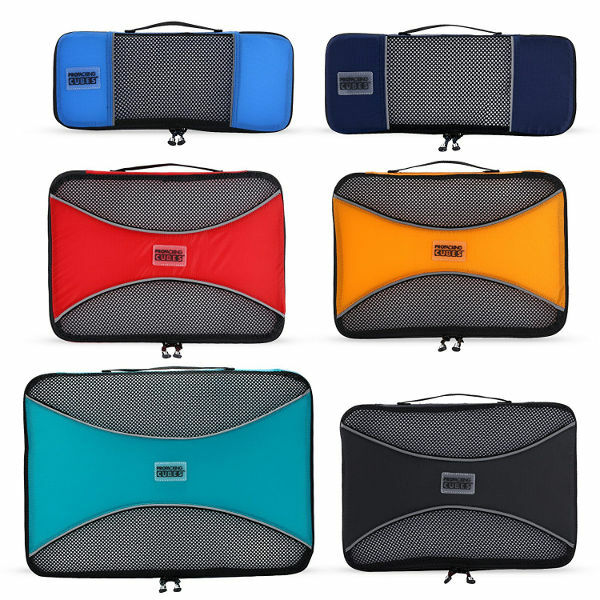 Especially risky (and heavy) if you’re taking multiple laptops, tablets, phones and kindles for short trips or on planes. I always try to put my clothes (and my daughters) into outfits so I know that those trousers can be matched with a number of different top combos. Things like lightweight dresses or skirts with tights and thin cardigans also take up less space than jeans and thick jumpers for example. Once you’ve reduced the quantity, you can move onto the actual packing. Quite often I find myself packing whichever suitcase I get out first- we have a few different sized ones all in the same nook under the loft stairs and they are not the easiest to get out. I usually choose a smaller one for shorter breaks but end up having to squeeze everything in or take another smaller one for the excess. Now you’ve got everything laid out on your bed and have done the cull, you can be a better judge of what size suitcase/cases that you really need. If you’re going on a plane you also need to take into account baggage allowance weight and sizes (for cabin luggage). 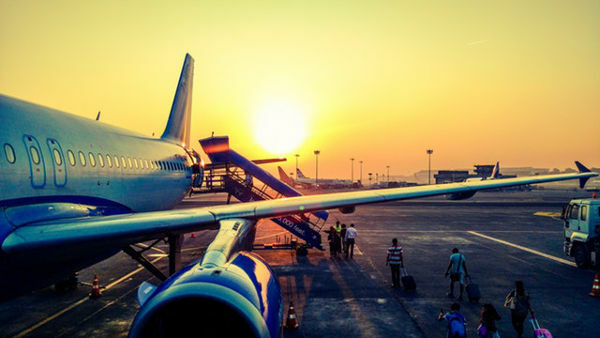 Take a look here at a list of the different baggage restrictions for all the airlines or have yours printed off/ open on your phone. Have a tape measure and some scales or one of those suitcase weight measures handy to check everything. 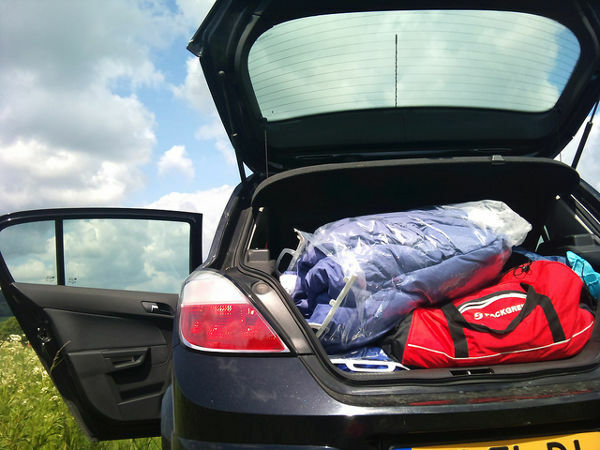 For car journeys I would go for the biggest bag I can pack that would take everything as it means just one bag to load and unload. However, if this will make things too heavy for you to manage then go for two medium ones. If you are going by plane/ train and will need to transfer your luggage under your own steam then still go for the lowest number but try to split them into different methods of carrying. E.g. have roller cases as well as backpack or cross body bags so you can easily carry everything at once. Remember to factor in having to take a pushchair or car seat as well. Our daughter was bought a Trunki for Christmas and we will be taking it with us on our holiday. We are going long haul so don’t have to worry about baggage allowances quite so much. It also means she will have a bag all to herself to pack with things to do on the plane and anything else random that she decides to take. We’ve also been using it as her toy suitcase when we go on short weekend trips as we have space in the car. I’m really hoping it will come into its own at the airport as she loves any type of ride-on vehicles so she can wheel away to her heart’s content while waiting at the gate. 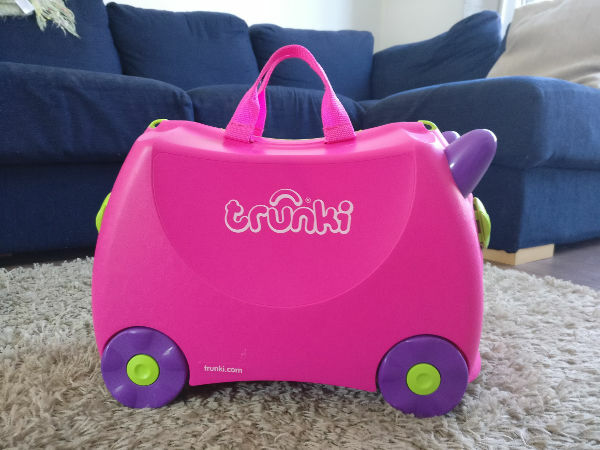 Take a look at the full review of the trunki now we’ve been on our holiday to Florida. 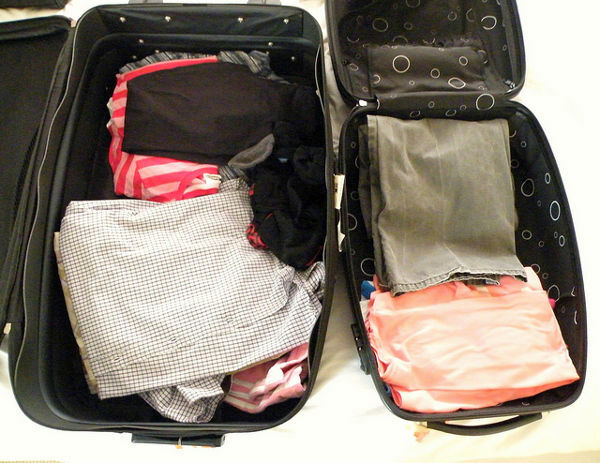 What is the best suitcase packing method? Once you have everything to pack and the suitcase then decide on the packing method. Throw everything in and hope for the best isn’t one of the options! Luckily, someone else out there in internet land has done the hard work of looking at a few different methods to find the best one. The article on Lifehacker can be found here to read in full. The methods looked at were: folded in piles (only top item can be seen), folded in rows (all items can be seen), bundled, and rolled. They also took a look at using packing cubes which I will save for later in the article. Here’s a video with the ‘ranger roll’ technique. Bonus points as it creates cute little clothes sausages that don’t unroll! Bundled worked for less creased items as you start with small items then wrap others around them until the last item for your bundle is the one you want to keep crease free so is the flattest. In my mind, this seems a big faff and quite annoying if you are planning to live out of the suitcase. Everything would need to be unpacked to find your pants at the centre of the bundle. Folded in rows was more space saving than folded in piles and also better for pulling out the items you needed quickly so would keep a bag a lot more organised if you’re not unpacking. Rolling it is then for me from now on! I’ve seen these cubes mentioned a few times in different packing posts. They are lightweight mesh cubes of different sizes that you can use to fully organise your suitcase. For example, you could give everyone in the family their own cube to pack with things, or you could do it by item- all tops in the red cube! 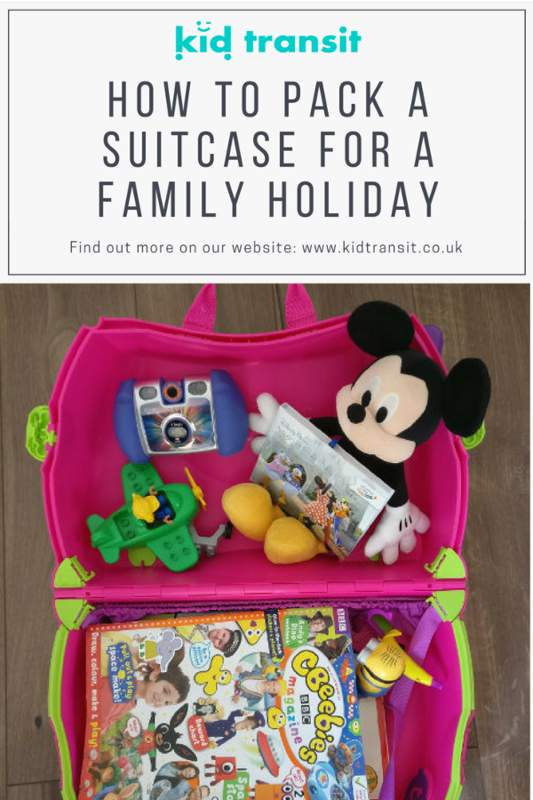 If you travel a lot as a family or find it hard to get things organised in a suitcase I think they would really make a difference. Easy to use and helpful in cutting down on uneccessary items if you have just the cube to fill. 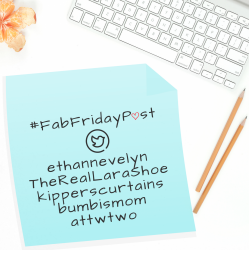 Let me know in the comments if it’s something you use as I’m very tempted to get some for our big holiday! Don’t bother printing out all your documents/ itinerary. Save to the cloud, take photos, or use a dedicated trip organisation app so everything is available on your tablet or smartphone instead. If your baggage allowance is for hold and not cabin (some combine so check) put all your heaviest items in your cabin bag. As long as you can lift it into the overhead locker you should be fine. 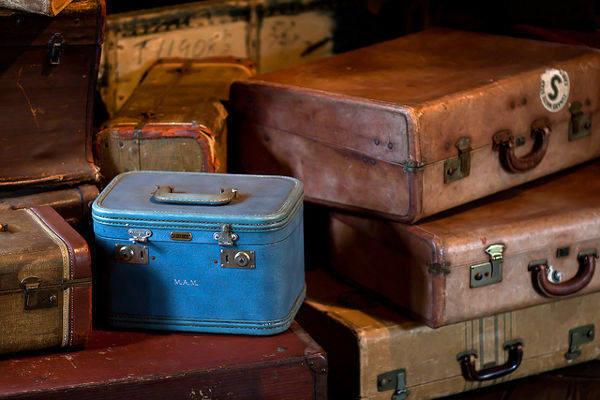 Who knew there was so much to think about when packing a suitcase? No wonder it’s not been working out well so far! I reckon my routine now will be: everything laid out, MASSIVE CULL, ranger roll, then fill appropriately sized suitcase depending on the method of travel. Packing finished! If you’re on a flight with your children soon, how about taking a look at our big guide to flying with children? I travel a lot with the 2 kids on my own, so I’ve become a master at travelling light! I use a travel rucksack as then I have my hands free to hold their hands, or carry their bags if they decide they don’t want to. The kids have got cabin sized bags, with wheels which have pockets for teddies on the front. They’re great as they’re light enough for them to roll along and they want to roll them as they’re taking their bears for a ride. If they decide not to roll them they’ve got rucksack handles you can use, or a handle on the top. I think a rucksack is definitely the way to go with more than one kid- there’s a reason it is so loved by travellers! Thanks for all the other tips, especially the inflatable booster seat- I’m going to look into that for our holiday. I have been thinking of plane friendly activities so I will be sure to check out your website- Thanks! Nappies really eat space don’t they?! I always take too many for a weekend break and then just have to bring them all back again. Must learn! If it’s too time-consuming then I’m against it as well! Not sure you want ALL your clothes in a big bundle anyway…. I feel I have the short straw in my house having to do all the packing (it’s nothing to do with being a tiny bit controlling at all)! I didn’t even think about room for pets! That means more things to take for them too…. Need to be really compact with your packing!